Recipe for a great fall: Add good mascara, a sharpie pen, coppery nail polish and caramel lip balm. Read Dana’s book, and enjoy! Book 32 was a good one! I’ve been trying to read more books written by strong women–last year I read Tina Fey’s Bossypants and Mindy Kaling’s Is Everyone Hanging Out Without Me? This particular book was even better than those two–mainly because I agreed more with Perino’s conservative ideas than Fey and Kaling’s decidedly liberal ones. 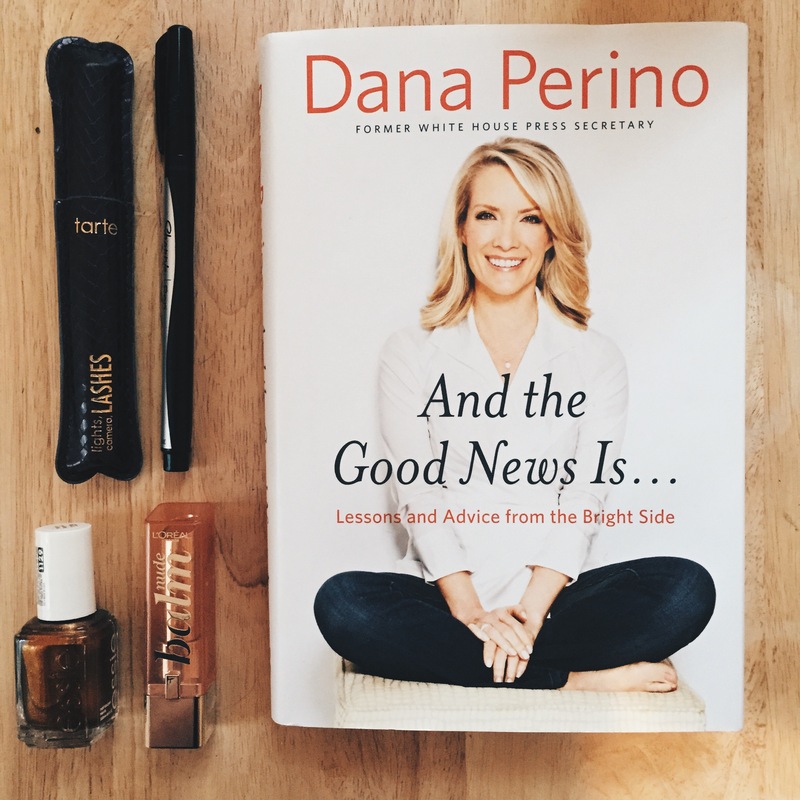 Perino’s book is divided up into two main sections. The first tells stories and lessons she learned while working for the Bush administration. The second is a collection of advice. While I’m sure this advice would be helpful for anyone, I think it’s especially great advice for women my age. I’m 24, I’ve left one job to go back to graduate school, and I’m looking ahead to how that degree will help me land the job I really want. I think Perino’s advice was great–watch how you talk, always be professional, be knowledgable in your field, and guard your schedule. Reading the second half of her book was like attending a mentoring session. I dog-eared quite a few pages so I can go back and re-read them when I’m on the job hunt. If you’re looking for practical advice with a side of anecdotes, this book is a great choice. It’s not too long, and it’s a great read.